The rugged classic, confgurable in the ideal style for you. 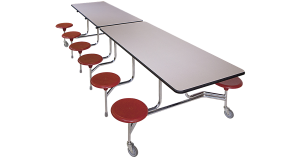 BioFit Tables are designed for everyone from young children to adults and help you better meet individuals’ needs. Choose from a wide variety of table lengths and seating confgurations.